Founded in 1992, Rosetta Stone was one of the first companies to employ interactive software to for language learning. And while software is still its main product, it does offer online language classes, for which it hires work-at-home online tutors and teachers. 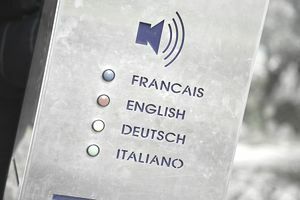 Online Language Tutors - Rosetta hires native speakers to facilitate language classes for beginner to advanced students.Languages that Rosetta Stone seeks online tutors in include Vietnamese, Irish, Swedish, Arabic, Japanese, and Chinese. Prior experience in foreign language teaching is welcome, but not required. Browse or search for the above positions at the Rosetta Stone careers page. Searching for work from home does not work. To apply you will need to make an account and upload your resume. Tutors and teachers must have access to broadband Internet from a personal computer and be comfortable using a computer. They should be available to work up to 10 hours per week in a flexible schedule that includes weekdays and weekends (mornings, afternoons, evenings). Applicants must be located in the United States and sponsorship is not available. This is a part-time employment. position. Both positions pay $15 per hour.